At any given time, roughly 30,000 members are awaiting the release of the popular appellation wines or access to highly limited, single vineyard wines. But the infamous winery has just unveiled a loophole. Kosta Browne is one of the biggest names in California Pinot Noir, an iconic brand with a long waitlist for allocations. 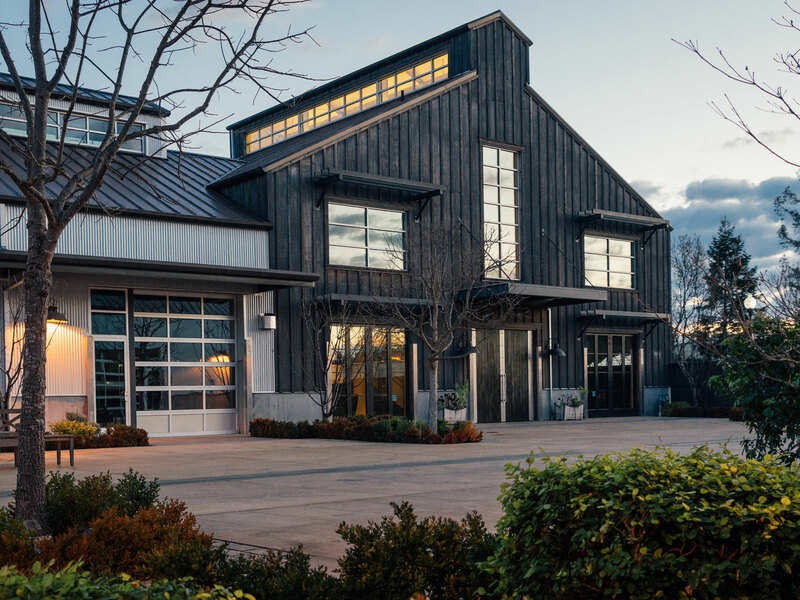 Earlier this year, the iconic winery quietly opened a tasting room in the Barlow, an outdoor marketplace in the town of Sebastopol, California—news that has brought tears of joy to many, along with minor perturbations for some. Beginning August 9, they’ll be taking reservations for a new “Gallery Tasting” experience. But what does that mean for people who have stood on the veritable line, waiting for a chance to secure precious bottles of their single-vineyard Pinot Noirs from Keefer and Gap's Crown vineyards? 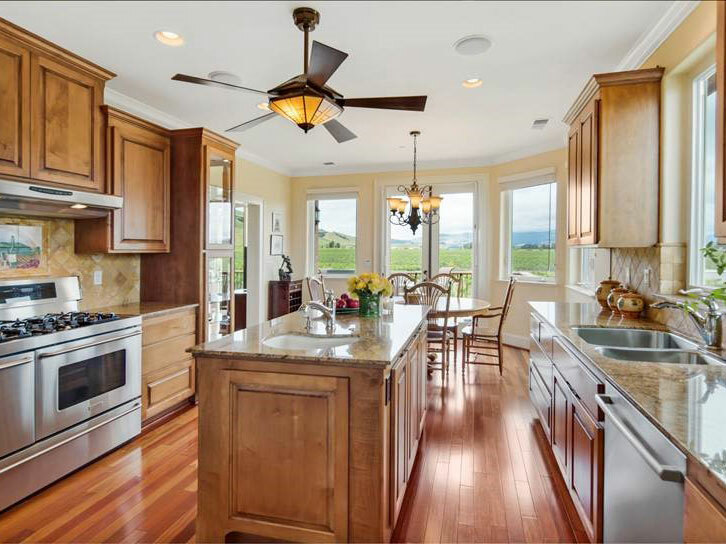 Kosta Browne has a vast network of members. At any given time, roughly 30,000 members are awaiting the release of the popular appellation wines or access to highly limited, single vineyard wines. While many have to wait approximately 18 months for their first bottles to arrive, there is a 12-year waitlist for active buyers looking to secure "4-Barrel"—a 100-case production of their best Pinot Noir lots from select vineyards. Conversely, visiting Kosta Browne's state-of-the-art winery is a relatively short process. Tours and tastings are complimentary for active members. And the new Gallery Tasting experience that starts this August costs $75 for active members and $125 for anyone who wants to sign up for the mailing list on the KB website. It is free to sign up, however, there is still a one to two year wait period for new members to become active members, with the ability to actually buy wine. So what does the Gallery Tasting entail? Imimbers will be heralded off to a second-floor suite, where vintage French lamps and a stone fireplace from an old French cathedral illuminate a long tasting table. 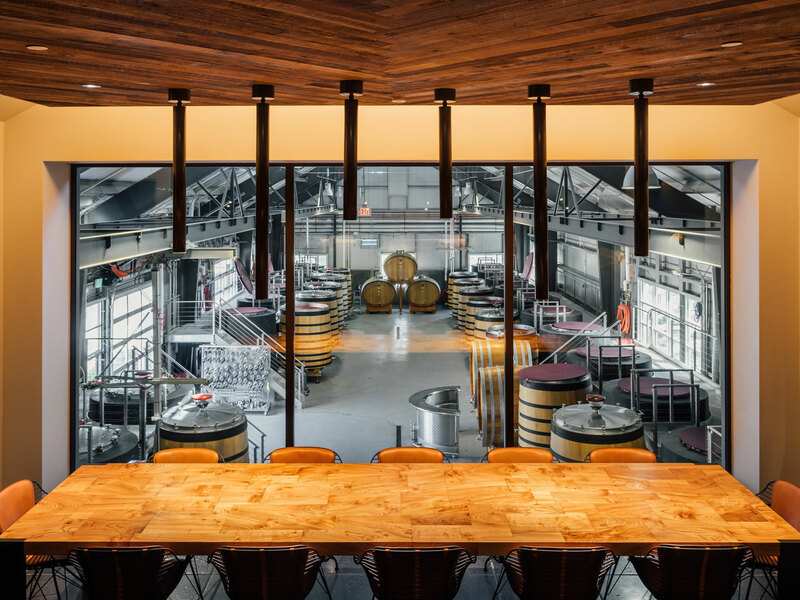 From here, a panoramic view of the working winery reveals an array of custom-designed concrete tanks, large oak fermentation barrels and foudres, all housing the makings of KB's next bottled vintages. In an effort to respect their allocation process, so longtime active members don't have to worry about newcomers cutting line, only active members have access to a library tasting offering a mix of back vintages. For newly joined members, and any active members that wish to participate, there's a new tier of wines dubbed the "Observation Series" that will be available for tasting and purchase. These wines, offered strictly through the tasting room on a limited basis, are ones that winemaker Nico Cueva has identified as unique and worth bottling on their own. For those unfamiliar with the label, and perhaps indifferent to the gravity of this new tasting opportunity, I’ll put it another way: imagine if the recluse, best-selling author Danielle Steel decided to throw open the doors of her San Francisco mansion, and invite people in for writing workshops. After working long hours at John Ash & Co., Dan Kosta and Michael Browne pooled their tip jar money, and by 1997 could afford to make one barrel of Pinot Noir. "We were really into Sanford, Gary Farrell, Williams Selyem, Rochioli, and Dehlinger," co-founder and former owner/winemaker Michael Browne told me. "I would notice that the people coming in looking for these wines were the most savvy wine consumers in the restaurant. Dan and I loved those wines," he said. The next year they made 50 cases, then 3,400 cases, which at the time was mostly of Sauvignon Blanc. By the early 2000s, they were focused on Pinot Noir. And in 2003, a year Browne characterized as "really hot," he says he was "behind the game on picking fruit," and he wasn't able to pick grapes as early as he'd wanted. The wines turned out big with a good amount of alcohol. "I liked them, but they were out of balance. But I liked the intensity," he said. And so did a bevy of bloggers, and enthusiasts who delighted in the richer, more powerful style—right around the time Sideways blew a hole in every Merlot barrel in the U.S., while elevating American Pinot Noir to new heights. Two months later Wine Spectator came out with dual 95-point scores for their Kanzler and 4-Barrel Pinot Noirs and "that was huge," said Browne. "It was mind-blowing to us and we're just trying to figure this out. As far as a winemaker, I felt I needed five more years of practice—it was trial by fire. By 2011, Wine Spectator named their 2009 Sonoma Coast Pinot Noir their Wine of the Year. Even as Kosta and Browne have stepped away from the business, and Browne focuses on his own family project called Cirq, the ethos and vision laid out by the founders will continue to provide a guiding light, according to CEO, Scott Becker. "We have a level of engagement with consumers that is extraordinary. But today, Kosta Browne is bigger than either Kosta or Browne, bigger than us," says Becker. "We have a reputation for quality and a level of innovation—Michael Browne experimented constantly in the early years—and that early ethos of KB remains the same." I met winemaker Nico Cueva in the new second-floor gallery. Cueva first farmed vineyards in the central coast, and began working alongside Browne in 2009. Next to the founders, Cueva probably has the most intimate knowledge of the house style, from past to present, and now he's focused on the future. "Why shouldn't we push the envelope to make more pure and precise wines?" he asked rhetorically, motioning to the pristine winery in view below. "The tools at our disposal are there for us to make better wines. Our consumers expect our Kosta-Browne thumbprint—an intense fruit-forward wine that gives pleasure." And although he likes to dive into heady, thoughtful, cerebral wines, he feels winemakers can take that too far, losing out on the pleasure factor. Later, I spoke to Michael Browne by phone, and asked what he thought of the current direction. "Nico is doing a great job," he said. "The style has changed a little. Some of the wines have leaned out a little, but not much. It's always an evolution, and I think they are cool wines." "Elegant intensity" is how Becker and Cueva describe the wines today—a phrase that Browne says he introduced. "To his credit Michael wasn't trying to emulate anyone, says Becker. "He was intuitive and he taught himself. He was looking for flavor and texture at a moment in time when some of these [now-famous] vineyards were quite young. He was looking for wines that were 'delicious,'" Becker said. And Cueva is undoubtedly after that same "yummy" factor, but with an eye on nuance, balance, and complexity. He's exploring concrete fermentations more than ever, and laying large oak foudres on their sides for more contact with lees for their Chardonnay, working with native-yeast fermentations, and is in the vineyards tasting as much as possible.